Are You Playing with a Chip on Your Shoulder? Like many of you, I have been watching a lot of football lately. A large part of the intrigue of football and other sports are the stories surrounding the athletes and the game. We like to know what they have overcome to become successful and to hear about the good things they do away from the sport. Among the most popular narratives in sports is “he’s playing with a chip on his shoulder.” The proverbial chip on the shoulder is routinely celebrated in sports culture as a powerful source of motivation. He didn’t get recruited by bigger schools. People doubted his abilities. He wasn’t highly ranked coming out of high school or college. Many of these stories are remarkably similar, and they all end with the successful athlete thumbing his nose at the doubters. These stories are appealing, because every one of us has been wronged or doubted at one time or an other, and almost every one of us has at least quietly longed for justice in the form of revenge. Revenge is easy to understand, and its use as motivation is rarely questioned. I didn’t question it until I heard Zig Ziglar talk about it. Zig, as only Zig could do, said, “If a person has a chip on his shoulder, there’s likely to be a block of wood on top of his neck.” His point was that the chip on your shoulder is an unnecessary and possibly counter-productive vehicle of negativity. It gives others control that we should reserve for ourselves. Strong, successful people typically want to be self-directed and controlled by their own thoughts and actions. Most chips on most shoulders were put there by someone else’s opinion or action against us. If we rely on them for motivation, we’re relying on negative memories placed in our minds by those who doubted us or mistreated us in some way. Why give those people that much power over us? Negative memories pollute our thinking. Every time we use that chip, we introduce doubt into our minds. We might say and believe that our critic’s doubt was misguided, but if we’re carrying around that chip on our shoulder and dwelling on it, there must be at least a small part of us that believes it. Quit giving credence to doubt. Positive thinking can take us to higher levels. If the chip on your shoulder is your primary motivator, what happens when it’s gone? When the revenge you sought has been exacted, you might feel momentary satisfaction, but if you want to reach higher, you are going to need to find new motivation. If you have used positive thinking as motivation, and perfected it as you pursued success, you can build upon it to reach the next level. I understand the value of chip-on-your-shoulder motivation in the heat of battle, but away from that, I think it’s much better to build our self-worth through positive thinking, rather than through fantasizing about waving a middle finger at our doubters. 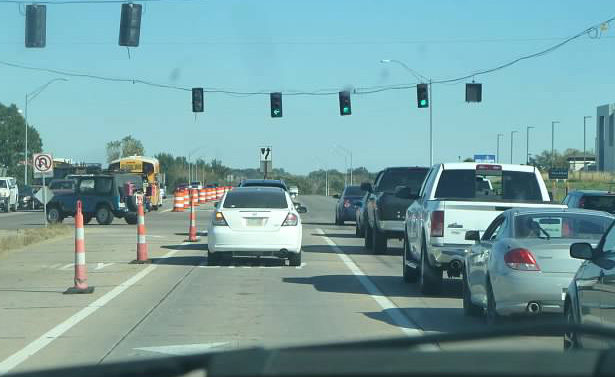 “Assume everyone is stupid, distracted or out to get you,” I told my 14-year-old daughter the other day, as she steered us through West Omaha traffic. We were continuing our odyssey toward achieving a level of comfort with her behind the wheel. She was driving down a busy street and into a parking lot, and I wanted her to know that danger could appear out of almost anywhere. That guy driving beside you? He could suddenly switch lanes or unexpectedly jam on his brakes. That lady approaching the intersection? Don’t assume that she’s going to yield to you. Don’t trust anyone. Assume the worst, and be prepared for it. That is exactly how we should drive, and exactly opposite of how we should live, but how often do we live like we drive? Maybe a friend doesn’t immediately return our call, and we assume that there is tension in the friendship. Maybe our boss wants us to meet him in his office at the end of the day, and we’re certain that we’re going to get reprimanded or worse. Maybe we have a headache, but instead of taking an aspirin and relaxing, we head to WebMD and start researching brain cancer. We’re often looking for trouble that doesn’t exist, and because of that, we’re making ourselves needlessly miserable. If we’re always looking for someone to pull out in front of us, we’ll never enjoy the journey. I had to get over this when I first start dating my wife nearly 22 years ago. I had experienced a bad break-up of a four-year relationship the year before, and I had promised myself that I wasn’t going to put myself through that again. Everything was going to have to be perfect, I told myself, before I would ever become emotionally attached to another person. It was far from perfect. She lived in Washington, DC. I lived in Nebraska. I was a teacher. She was a medical student. Our lives were occurring in different places and following different paths. Getting into such a relationship seemed like speeding on an icy road; there were too many things that could go wrong, but instead of slowing down, I stood on the accelerator, and I’m very glad that I did. The bad break-up I feared never happened, but for the first year, I drove with my foot hovering over the brake. When I should have been feeling contentment and happiness, I felt anxiety and fear. We shouldn’t live like that. A modicum of caution is essential to an orderly life, but there is a huge difference between expecting the worst and simply acknowledging its existence. We don’t have to scan our yards for prowlers before locking the doors at night. Likewise, we shouldn’t anticipate failure when we’re pursuing success. Failure doesn’t need that advantage. Kelly is getting much better at driving. Like her older brother who was taught the same lessons when he was learning to drive, she drives with heightened awareness of the potential dangers she might encounter. That will make her a cautious driver – exactly what you want when you hand the keys to a teenager. There will be dangers in her life off the road too, and I certainly want her to be aware of them, just not looking for them. When we constantly look for trouble, it seems that we usually find it. Part of life’s beauty is that the same is true for hope and inspiration. Expect it and look for it, and you’ll likely find it. Are You Really Going to Complain about That . . . to Me? The typical Facebook feed is a peculiar convergence of people, ideas and weirdness. Mine is no different. When I log on, it’s like I’ve taken a hallucinogenic that allows everyone from my mother’s third cousin to my closest childhood friend to flash pictures and words in front of me with no regard to their importance or my interest in them. If you pay attention, this random nature occasionally yields remarkable juxtapositions that make you back up and think a bit. That happened the other day. One friend wrote a touching tribute to her husband who had unexpectedly died earlier in the year. In the next post, a different friend complained about her Starbucks order. Taken apart, these two posts are fairly unremarkable, but when paired together, a glaring spotlight shines on the trivial complaint. The same thing happens in our daily lives. When someone asks us how we’re doing, and we launch into a litany of grievances, we might not be aware of how small and petty we sound, especially if the other party is dealing with something more significant. Imagine complaining about your mild headache to a friend who you didn’t know was on her way to a chemotherapy treatment. Unfortunately, because complaining is so habitual, we often aren’t even aware that we are complaining. If we backed up and thought about what we are saying, we would probably be embarrassed, and that is what we should do before we complain – back up and think. I’m trying to teach my children this concept: before you run up to me or anyone else and complain about something, think. First, do I even need to complain? And second, how will my complaint affect the other person and his opinion of me? Most complaints are stopped in their tracks by the first question. Except in special circumstances, complaining simply isn’t necessary. Complaining is only helpful if it leads to problem-solving. If your doctor asks you where it hurts and how often it hurts, go ahead and complain. It will help him solve your problems. Too many times though, we complain to people who can’t help us and about problems with no solution. Nebraska, where I live, gives its residents many opportunities to complain about the weather, which is the most pointless of all complaining. Until we figure out how to control the weather, whining about temperature extremes, snow, ice, hail and the like will never lead to problem-solving, so why complain? Unless you are going to move to a more agreeable climate, put on a smile and deal with it. Complaining about the weather isn’t the only pointless complaint. How often do you hear people complaining about being tired or busy? Often the complaint is just an excuse for poor performance or inconsiderate behavior. Lastly, complaints negatively impact the energy of human communication and make the complainer significantly less popular. 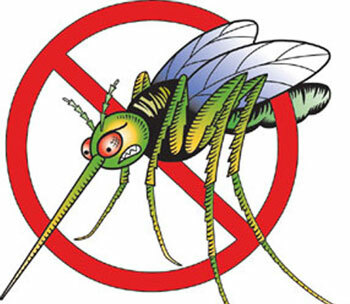 I think of complaints and complainers like mosquitoes at a backyard party. No one wants to be around them. When you hear one buzzing in your ear, you swat it away, and if that doesn’t work, you walk away. Whatever you do, you don’t unleash more of them and ruin everyone’s good time. If you look hard enough, the world is filled with irksome opportunity, and there are many people ready and willing to point it out. Don’t look for irksome opportunities. Look for opportunities for positivity, and when others can’t see them, don’t hesitate to point them out. Make yourself that cool evening breeze that keeps the mosquitoes away. The Bellagio in Las Vegas is one of the most opulent places I’ve been fortunate to visit. It’s massive, with more than 4000 rooms, and full of extravagance, from its marble floors to the spectacular water show in front. When I’m there, I feel like I’m in another world. 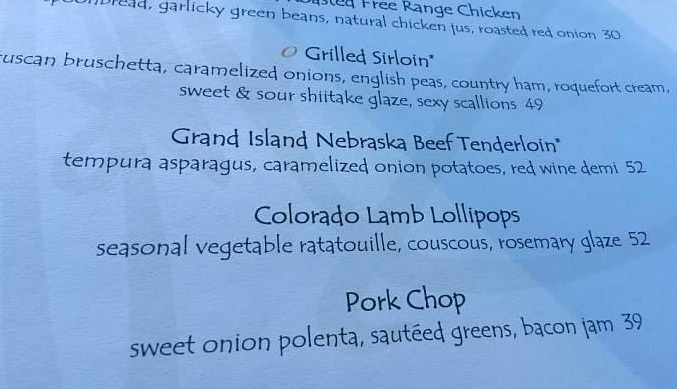 That’s why I was stunned when I saw the Grand Island Nebraska Tenderloin Steak on the menu at Olives, one of Bellagio’s elite restaurants. I was born and raised about 50 miles from Grand Island, in a small little town without a stoplight, much less a movie theater. During my childhood, Grand Island, population 35,000 at the time, was the big city. It’s where we went to go shopping, to a movie or on some other type of adventure. With its restaurants, movie theaters, miniature golf and roller skating, I felt like I was in another world when we went to Grand Island. Grand Island is not the Bellagio. It’s not even an island, but according to the waiter I asked in Las Vegas, it’s where the best beef in the world comes from. He didn’t get an argument from me, but I laughed to myself when I thought about how others, who had no other exposure to Grand Island, might think of the city. The Bellagio hosts visitors from all over the world, not just the United States. Many likely couldn’t find Nebraska on a map. They sure wouldn’t look in the middle of the country when they looked for a grand island. When they read “Grand Island,” what goes through their minds? Does some Japanese guy from Okinawa picture a massive island full of premium beef cattle? Obviously, the marketing team at Olives intends just that – an idealized image that makes wherever we are and whatever we’re eating or doing feel special. Imagine if we were our own marketing team and did that for ourselves. Imagine doing your weekly grocery shopping at “Gourmet Heaven,” where tens of thousands of fresh items are available for immediate consumption. The meals you can prepare with the ingredients there are limited only by your imagination. If you still can’t see past the many stocked aisles, think of it from a North Korean’s perspective, where supplies are rationed and resources to purchase are scarce. A North Korean in an American grocery store would have a hard time believing his eyes, yet we go to that same store with a sense of drudgery. Imagine if you saw your job as an important opportunity to contribute to your organization’s success while working toward your goals, rather than something you have to do five days per week. It might not be your dream job, but it very well could be an important step in your journey to your dream job. Wouldn’t thinking like that make the drive in each morning a little easier? Imagine marketing your life to yourself. It’s not that hard. It’s really just a matter of creating an optimum image of what we do and where we are, by focusing on the positives. Don’t wait for someone else to do it – sell yourself the Grand Island Nebraska Tenderloin Steak.